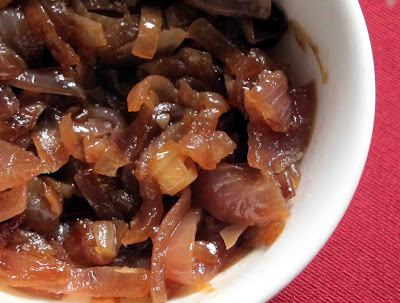 This stovetop version of caramelised figgy onions takes a little more effort but is more flavoursome than the oven roasted ones I made last week. The initial slow frying softens the onions. Then the addition of Te Mata Just Fig Sauce caramelises them and makes them lusciously sticky. I was planning to add them to a savoury quiche but between four of us we scoffed the lot tucked into fresh rolls with cheese and mesclun salad. Oh well, there's always next time. 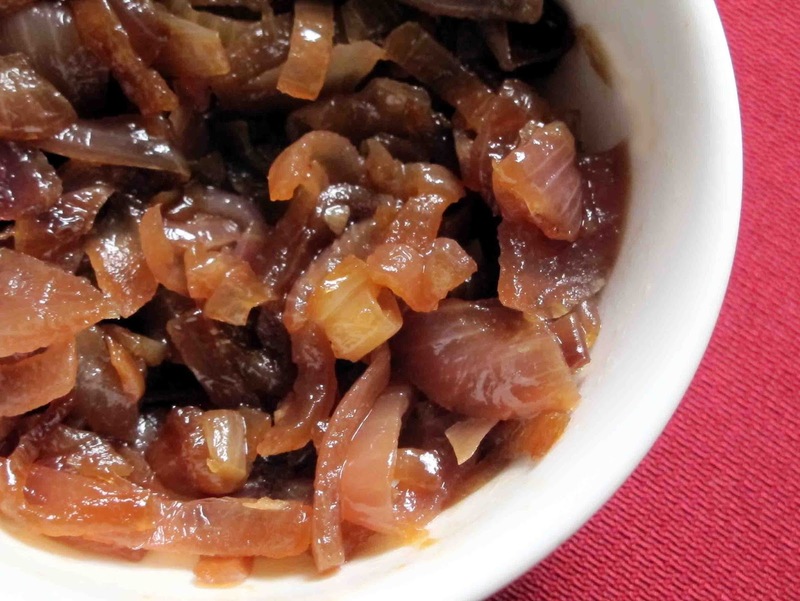 Chop the onions and fry slowly for about 15-20 minutes unto they are very soft. Stir occasionally to prevent burning. Keep the heat low so they don't burn. When they are soft and golden add the Te Mata Just Fig Sauce and keep frying gently, stirring from time to time, until they are sticky and caramelised.